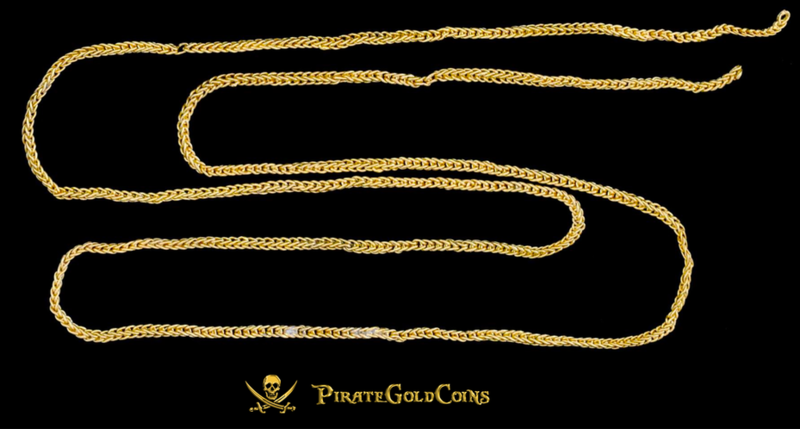 GOLD CHAIN 1715 FLEET ARTIFACT QUEENS JEWELS ARTIFACT RELIC MONEY CHAIN 30” COA This incredible over 300 Year “1715 FLEET MONEY CHAIN” is truly an impressive piece, Over 30” and 30 grams! 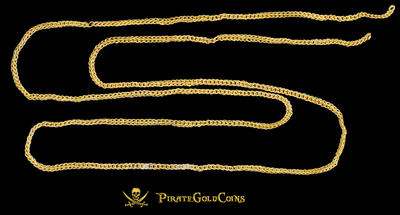 It’s design consists of a fine snakelike braid. 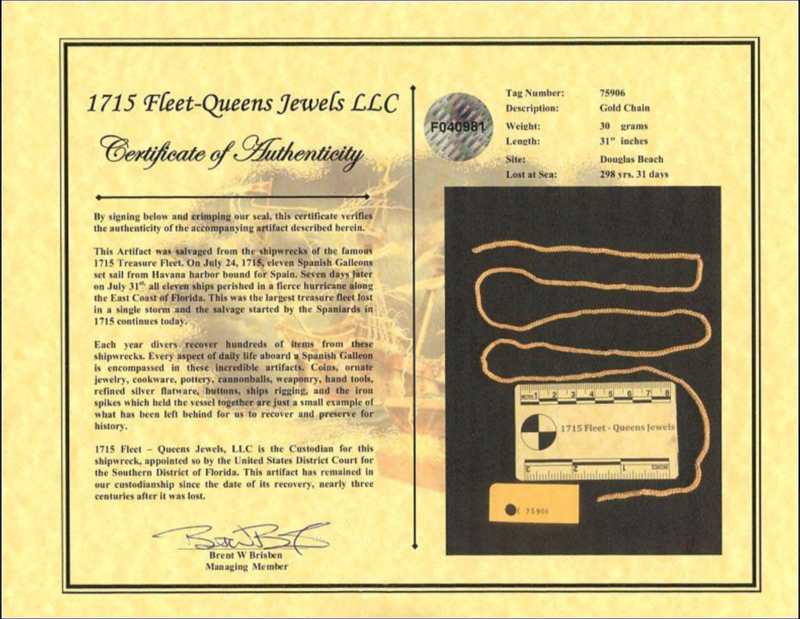 It also comes with a Full “Certificate of Authenticity #F040981 and original Divers tag #75906, and also a 2nd COA from Pirate Gold Coins. This Gold Relic still has “Encrusted White Coral” inside of some of the links, validating it’s Shipwreck origins!” An incredibly Rare Opportunity to literally have part of a Shipwreck Treasure & highly probably part of the Queen’s Jewels (and completely Certified as such!). The new Queen (Elizabeth Farneese) would not consummate the marriage to King Philip Vth until her Dowry arrived (which is one of the reason the King pressured the Fleet to sail during the Hurricane season), almost immediately after the “War of the Succession” (an almost 15 year war from 1700-1715).